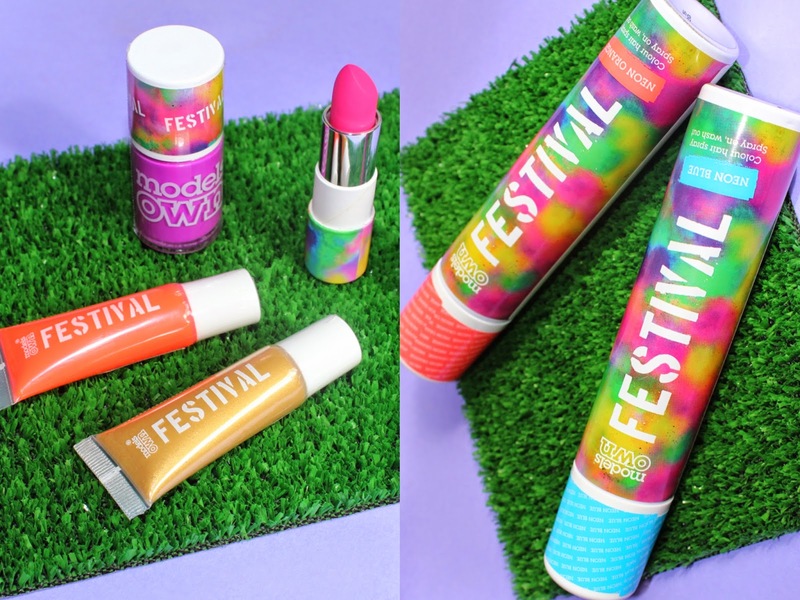 Get your wellies on and your tent pitched for the new Festival Collection from Models Own! If you have plans to head to any festivals this summer then Models Own have you sorted for everything you need to stand out from the crowd and look hot in your facebook photos. Their new festival collection is crammed with bright and neon colours for nails, lips, face and even hair, so you can sizzle in the sunshine, or more likely, the rain! The whole collection has a gorgeous summer festival vibe with abstract packaging bursting with bright colours. There are five festival lipsticks in the collection, all housed in the brightly coloured cardboard packaging. I have a brilliant hot pink shade called Main Stage which I've swatched below - it's a super vibrant, heavily pigmented colour which will certainly get noticed. You'll also find a choice of five festival face paints in orange, pink, yellow, gold and silver. They can be applied directly to the face with fingers to create dots, stripes and general swipes of colour, or you could grab a brush to try out something more intricate. The orange is extremely pigmented and very opaque, so it would certainly lend well do drawing some fun patterns. The gold I found slightly more watery, but you can layer it and build it up. I used this to draw some crowns on my brow bone to go with some frog fancy dress makeup I was wearing last weekend. My artistic skill was a bit lacking, but the face paint held up really well all day until I washed it off. When you're going to a festival you can really take some hair and makeup risks and go for something a bit unusual and creative, so these festival coloured hair sprays could be just the thing to give your look something extra. I can imagine plaiting some small sections of hair and just spraying those another colour and then clipping them up would look really nice. I wasn't brave enough to spray these colours on my hair indoors (as I wasn't sure how they sprayed and didn't want a blue carpet!) and it was raining outside, so I did a little test on my arm instead. I can't believe how bright these colours are, and this was just one quick squirt! They'll definitely show up on even really dark hair. These are the shades neon orange and neon blue. You can also get the coloured chalk sprays in purple and pink, and they're all temporary and will easily wash out with shampoo. Of course it wouldn't be a Models Own collection without nail polish, so naturally there are some super bright festival nail colours in the collection too. The festival nail polishes include four bright neon colours plus a glitter topcoat, and the neon shades all glow under UV light too! I have the gorgeous neon purple shade called purple bandana. 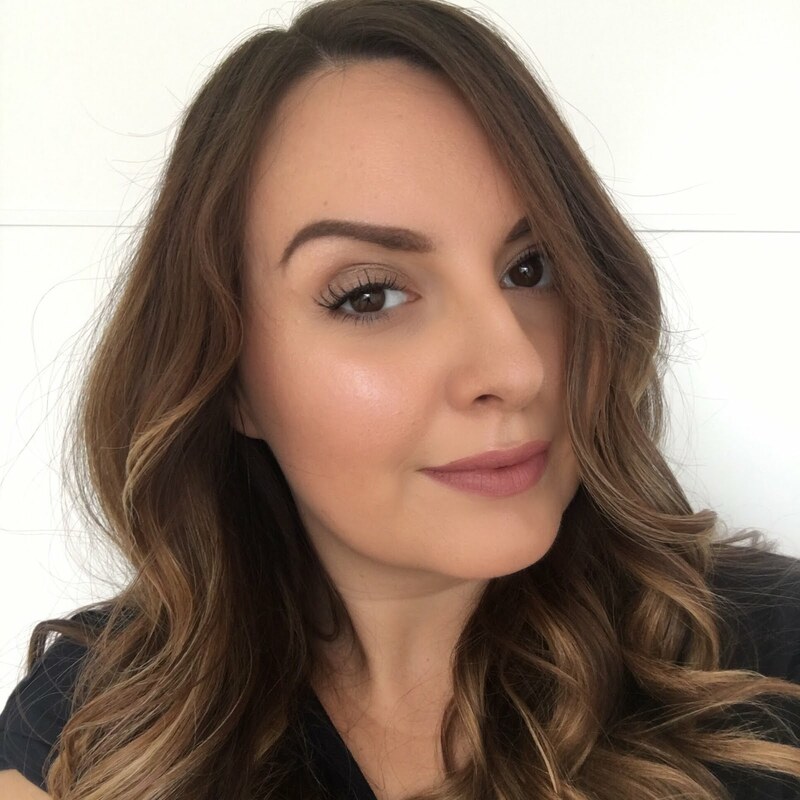 It's such a lovely creamy consistency and I absolutely love the colour - I was wearing it all last week. If you want to see the other nail colours from this collection in action, pop over to Lucy's Stash for some flawless swatches. Everything in the Models Own Festival collection is available now at modelsownit.com The nail polishes, lipsticks and chalk hair sprays are all £4.99 each and the face paints are £3.99.